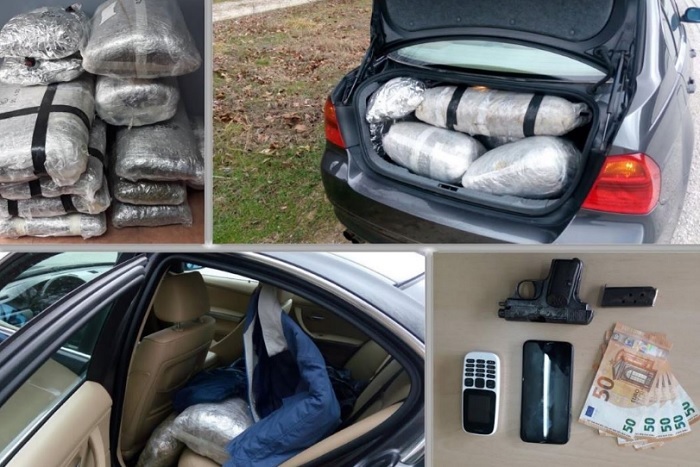 A Greek citizen driving a car filled up with marijuana is stopped by Greek Police at Kozani-Ioannina highway. Oculus News sources suggest that the 48-year-old Greek was supplied of 77kg of marijuana at the Greek-Albanian border. Within his vehicle is found and sequestered 12 marijuana packs, 1 Browning pistol with 2 bullets of 22 mm, 2 cells and 250 euros.